The world's top diamond producer by output, Alrosa, (MCX:ALRS) has unearthed a rough diamond weighing nearly 200 carats from its Udachnaya pipe, its largest find in more than two years. The 191.46-carat stone, which is white with a slight yellowish tinge, measures 40 mm by 31 mm by 20 mm. It was found earlier this month at the processing plant No 12 of Udachny mining and processing division, the Russian miner said. 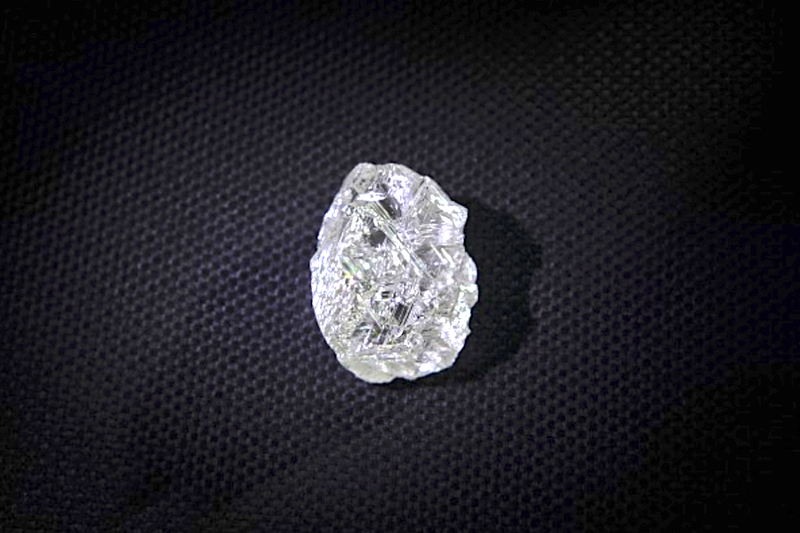 The 191.46-carat diamond is the largest Alrosa has recovered in two and a half years. Alrosa last found a comparably sized diamond two and a half years ago. Since the beginning of the development in 1967, Udachnaya has yielded hundreds of large diamonds. The pipe was discovered in 1955 and ranks among the largest primary diamond deposits both in Yakutia and abroad. The news comes on the heels of the miner’s diamond production and sales results for 2018 and the fourth quarter of the year. The figures showed that Alrosa produced 36.7 million carats, 7% less than in 2017, due to the shutdown of the Mir underground mine and the completion of open-pit mining at the Udachnaya pipe. Alrosa sold 38.1 million carats during the year – a drop of 8% year-on-year. Proceeds from sales in 2018 went down 6% to $4.5 billion. Diamond inventories at the end of 2018 dropped of 6% year-on-year to 17 million carats.